Should You Trademark Your Name Separate From the Slogan? Company names and slogans may be trademarked if used to sell a good or service. The U.S. Patent and Trademark Office defines a trademark as “a word, phrase, symbol, and/or design” that helps consumers distinguish between similar goods and services. Someone who owns a registered trademark has the exclusive right to use that trademark when selling a particular type of product. Assuming you use the name and slogan to identify a good or service, trademarking both elements separately and in combination is a strong approach that provides maximum flexibility. Different graphic elements appearing on a package may be eligible for individual trademark protection if they are associated with a particular class of products. For example, at least four elements on a package of Betty Crocker Super Moist cake mix have separate trademarks. These are the familiar red spoon embellished by the words "Betty Crocker" written in script; the printed name "Betty Crocker;" the printed word "SuperMoist;" and the slogan "Super Moist" written in script. A single trademark can encompass both a name and a slogan. While such a trademark would be economical because it requires only a single trademark application, this is unnecessarily limiting. You might want to use the name and the slogan separately. For example, company stationary might include the trademarked name at the top of the page and the slogan in the footer. Such usage would not be protected if all you owned was a single trademarked image that combined both slogan and name. Obtaining separate trademarks for a name and a slogan can be a better practice because it gives you more flexibility. If the name and slogan are contained in a single trademark, it would be very difficult to change the slogan or adopt additional slogans. For example, if the slogan "Super Moist" and "Betty Crocker" were included in a single trademark, "Super Moist" would have to appear on every single good that included the "Betty Crocker" name, regardless of its desirability. A single slogan can be used for multiple products. For example, the "Super Moist" slogan is used for many different types of cake. If General Mills Co. wanted to start a new line of cake mixes with a different slogan, it could apply for a new trademark, while letting the trademark for the undesirable slogan lapse. Alternatively, it could apply for a new trademark and keep the old one. Keeping separate trademarks for names and slogans makes such versatility possible. 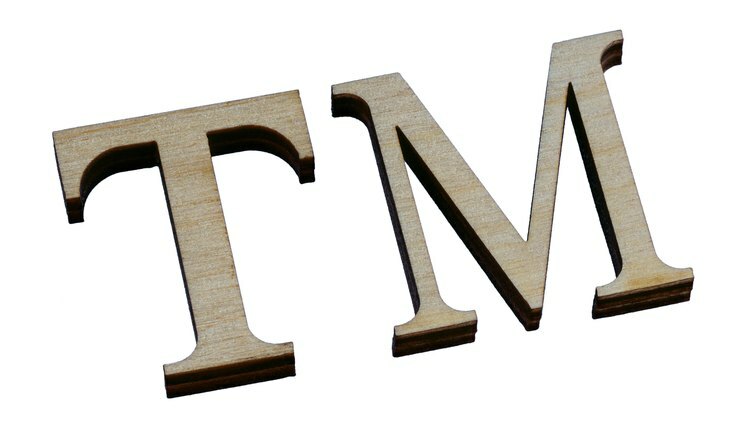 While an attorney is not necessary to file a trademark application with the USPTO, consulting an attorney or online legal service provider about trademark strategies may be helpful, especially if your company has multiple product lines. The attorney can suggest what classes of products may be covered by a single trademark. She can also suggest practical steps to protect your trademark. Bloomberg Businessweek: John, Paul, George, Ringo ... and Steve?